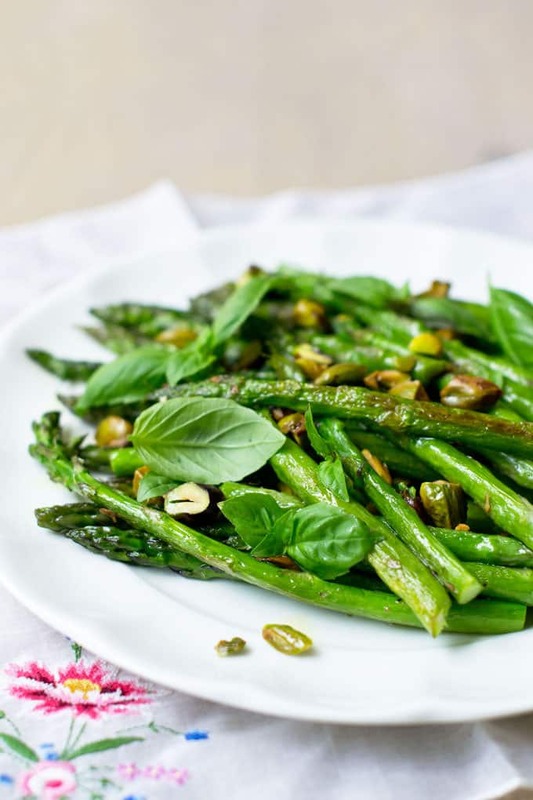 Basil is besties with dark green veggies, like here in this basil and asparagus side dish. Enjoy! As you know, we’re doing this whole series on basil right now. It’s such an incredible flavor, and it goes with so many thing. Yet, for whatever reason, we tend to stick to the same old tomato, mozzarella, garlic thing. 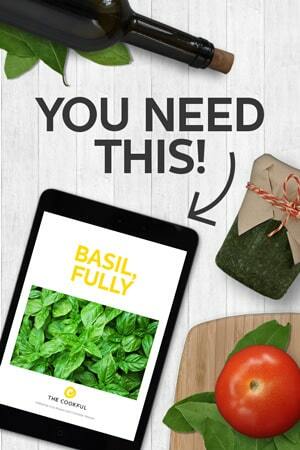 Today I’m challenging to get out of your basil rut and try it with something new. 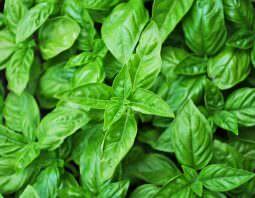 Here’s a list of 10 surprising things basil goes with. In that list we mention broccoli and spinach. Yes, dark green veggies and basil are friends, which is why today’s recipe works so well. Basil and asparagus also go together. Basil really brightens up asparagus. The pistachios too are a nice flavor with basil and they add some good crunch. You’re going to love this side dish, really really. Arrange asparagus in a single layer on a large baking sheet. Shell and roughly chop the pistachios. Sprinkle them over the asparagus. Drizzle with the olive oil and sprinkle with salt. 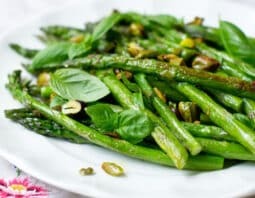 Roast until bright green and tender, 12-15 minutes depending on thickness of the asparagus. Transfer asparagus and pistachios to a serving plate and gently tear the basil leaves over top.